Pacers' all time ABA outside shooting threat. 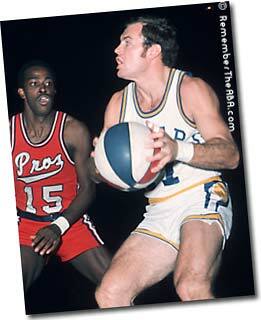 Hit 506 three-pointers during his 7-year ABA career with the Pacers. Pacers' all time ABA free throw percentage leader (87.2%). 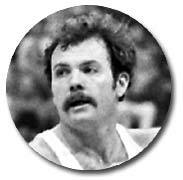 Set an ABA playoff record in 1975 by hitting 100% of his free throws (30 out of 30). Indiana's Mr. Basketball in 1965 after leading Indianapolis Washington to state title. Led Purdue to NCAA Finals against UCLA in 1969. Hometown favorite . . . Little guy with knockout punch . . . Excellent shooter going to his left and an outstanding three-point threat . . . Extremely quick, good ballhandler, and really hustles . . . "Keller's quicker than any guard I've seen," said Walt Frazier after exhibition game between NBA Knicks and ABA Pacers . . . 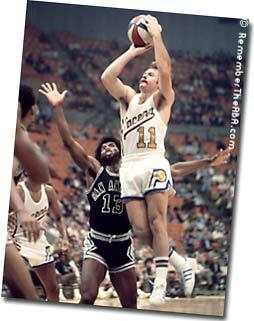 Almost bombed out the Utah Stars in 1971 Western Division Finals with three-point shots . . . Always among league leaders in free throws, three-point accuracy and assists . . . "A guy my size has to be able to set up the offense and get the ball and the players moving," comments Keller. "I have to be able to get the action started. This is the little guy's game." . . . "If a big guard takes me inside, I try to stay in front of him so he has to throw over my head. I also try to keep the pass away from him." MEMORIES OF BRUCE J. BENNETT: "Many of the usual 1970's Pacers ABA suspects were very noticeable -- Darnell Hillman and his afro, McGinnis, Buse, Netolicky, and so on. 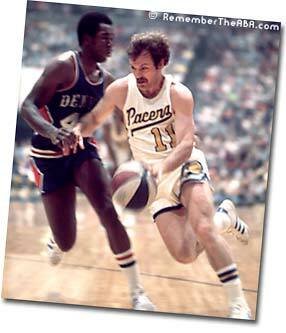 But during the heyday of the ABA, the main guy in Indy was actually Billy Keller. Being from not far away, taking advantage of the 3-point line, and being an undersized player, he actually had it made in Indianapolis. 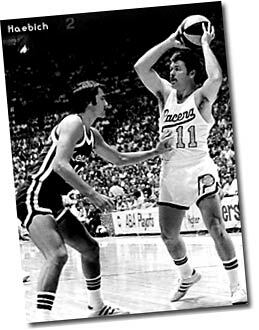 He embodied what people seem to recognize about Indiana basketball (not just pro, but college and high school as well) of that era - good shooting and solid fundamentals. He also did a number of promos in the area -- if I remember them correctly, they were to the tune of "Rockin' Robin," with "Billy Keller" substituted for the title. Billy was hard to miss, but then again, so was Darnell's 'fro."